Carpet is an expensive investment. Whether in your home or your business, you likely spent hundreds getting it installed, which means replacing it, won’t be cheap. That’s why it’s so important to take good care of your carpet. Getting regular cleaning will ensure your carpet lasts as long as possible, saving you money. But what’s the right balance? Obviously you don’t want to fork out a ton of money on carpet cleanings only to have to replace it in the future anyway. 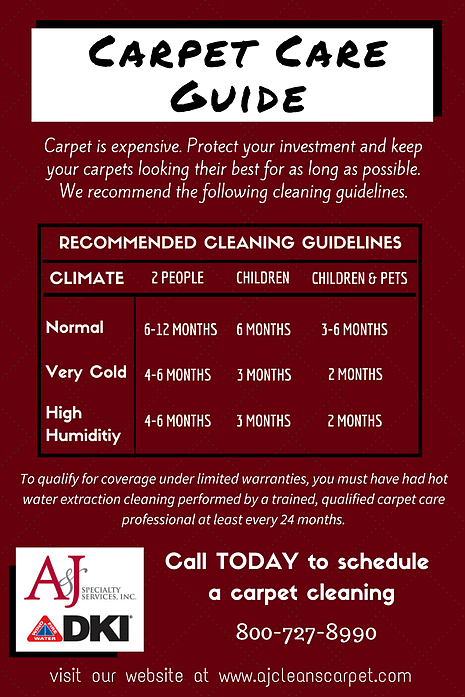 To solve the problem, we’ve made a carpet care guide. It will help make sure hit the sweet spot, enough cleanings to extend the life, but no more than necessary.